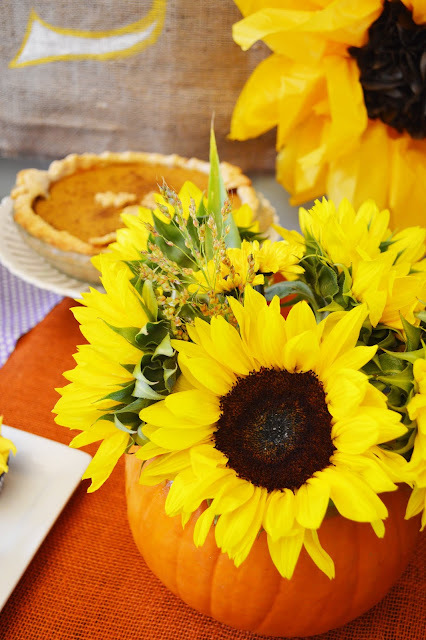 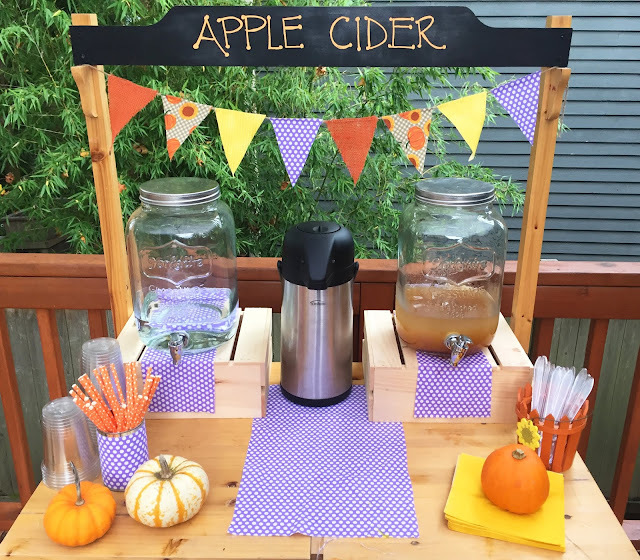 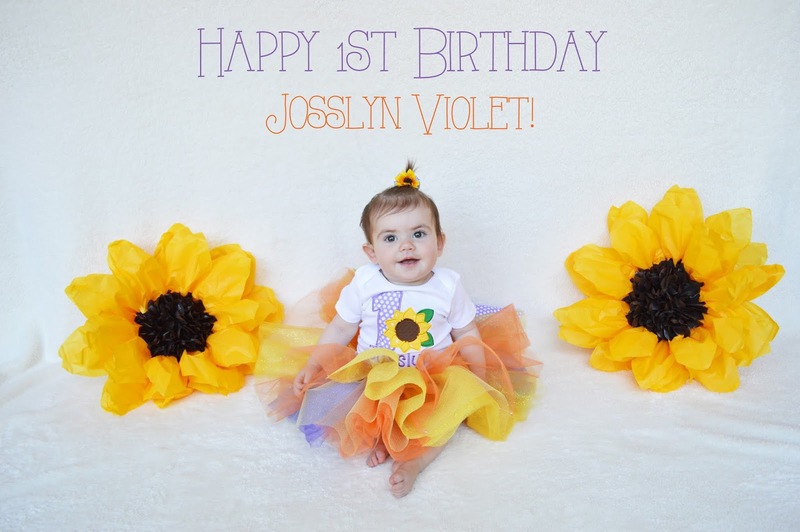 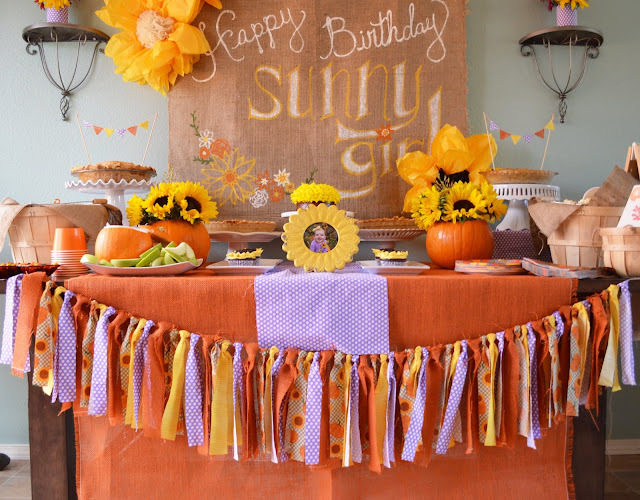 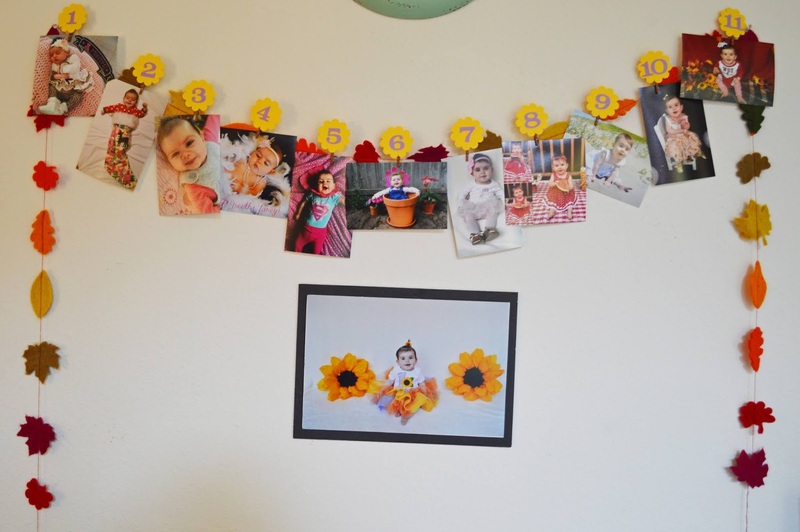 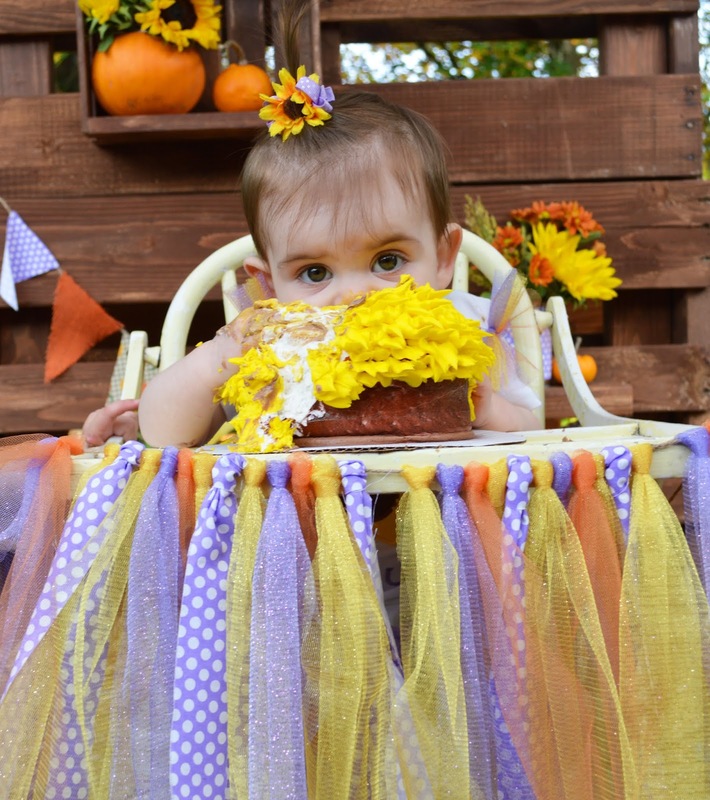 Sweet & Petite Party Designs: Sunflower and Pumpkin 1st Birthday! Sunflower and Pumpkin 1st Birthday! Josslyn was born the week before Halloween and her older sister called her “Sunny Girl” while I was pregnant with her. 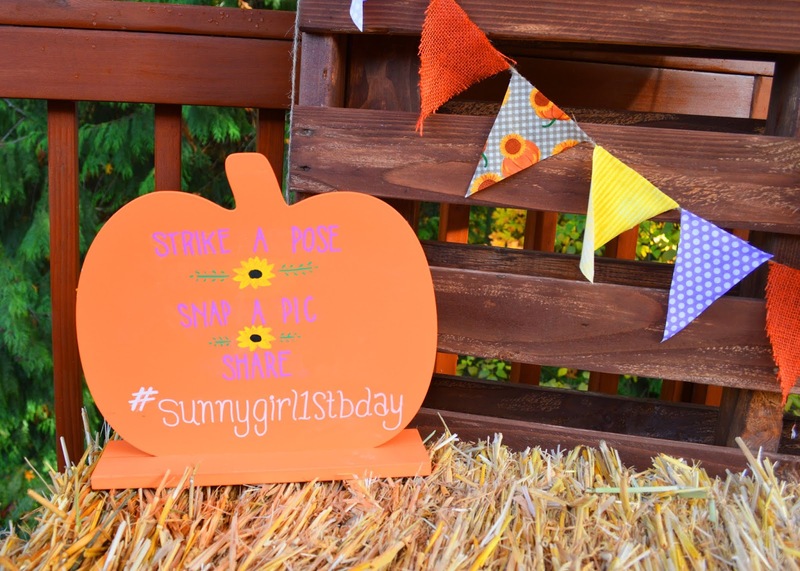 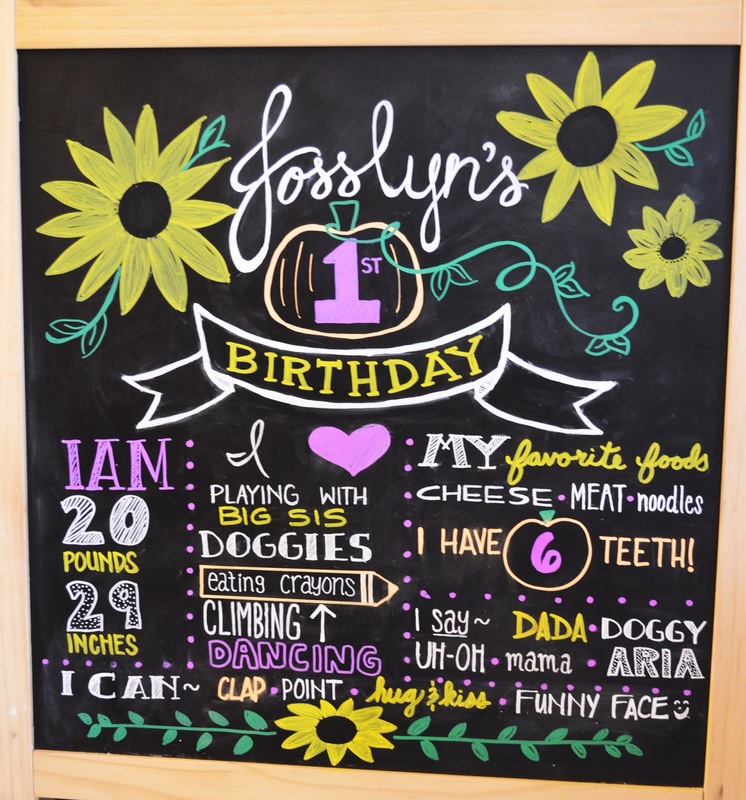 So it only made since to make her 1st birthday party filled with sunflowers and a festive fall theme! 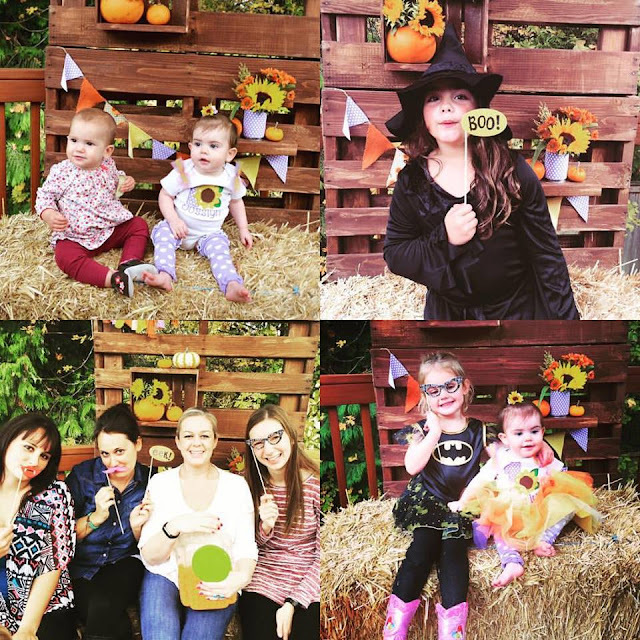 We made it a costume party and I created photo backdrop outside below the fall leaves. 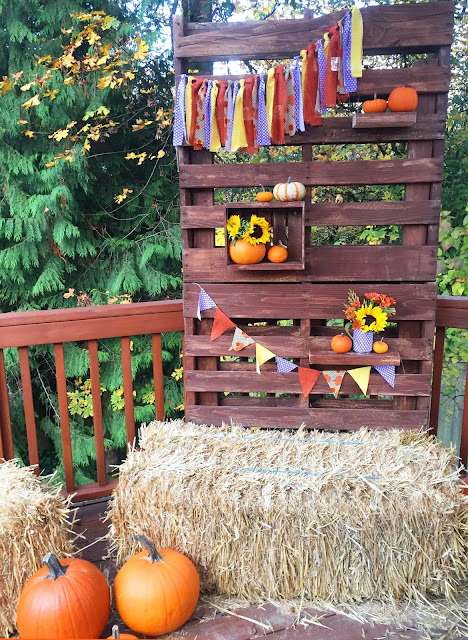 I created the pallet backdrop from an inspiration found on Pinterest: http://mydiyenvy.com/diy-pallet-wall-tutorial/3/. I’ve used this design for several events as well as yard décor. 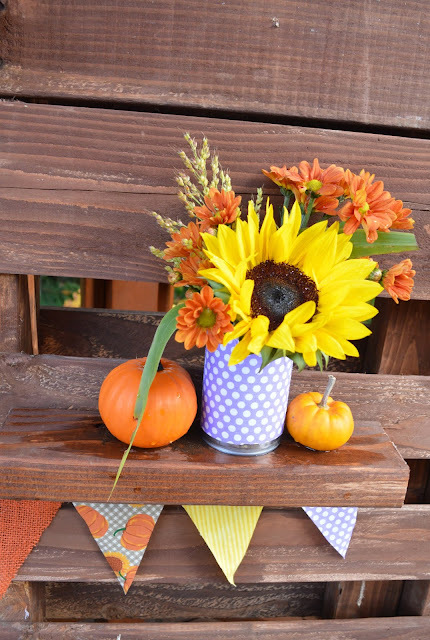 Wooden crates were filled with a variety of pumpkins, seasonal flower arrangements within some pumpkins and also in re-purposed tin cans wrapped with fabric. 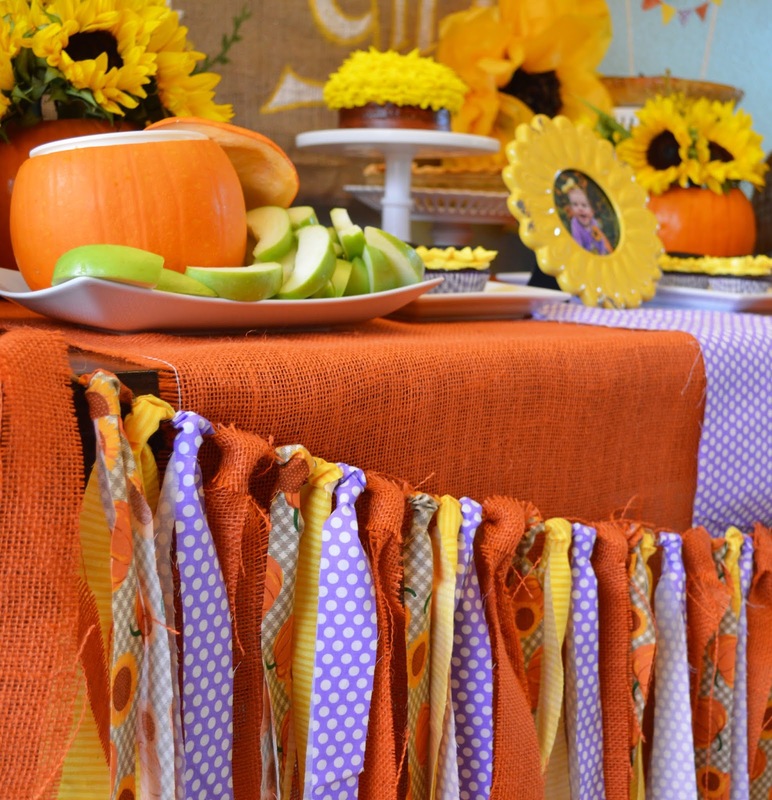 The fabric patterns are also seen in the garlands throughout the event. The birthday girl’s darling highchair is a thrift store snag for $10! 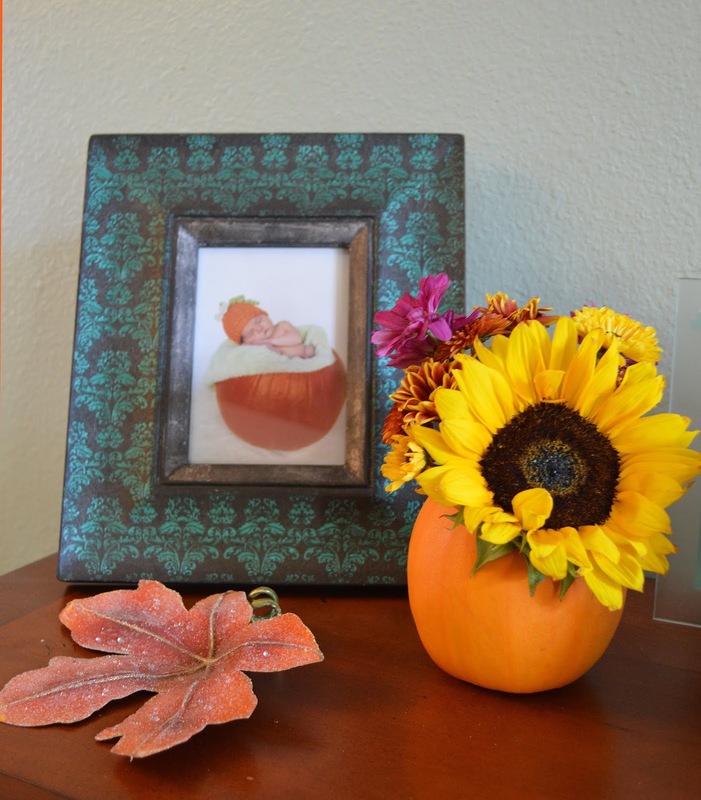 It just needed a little color and décor. 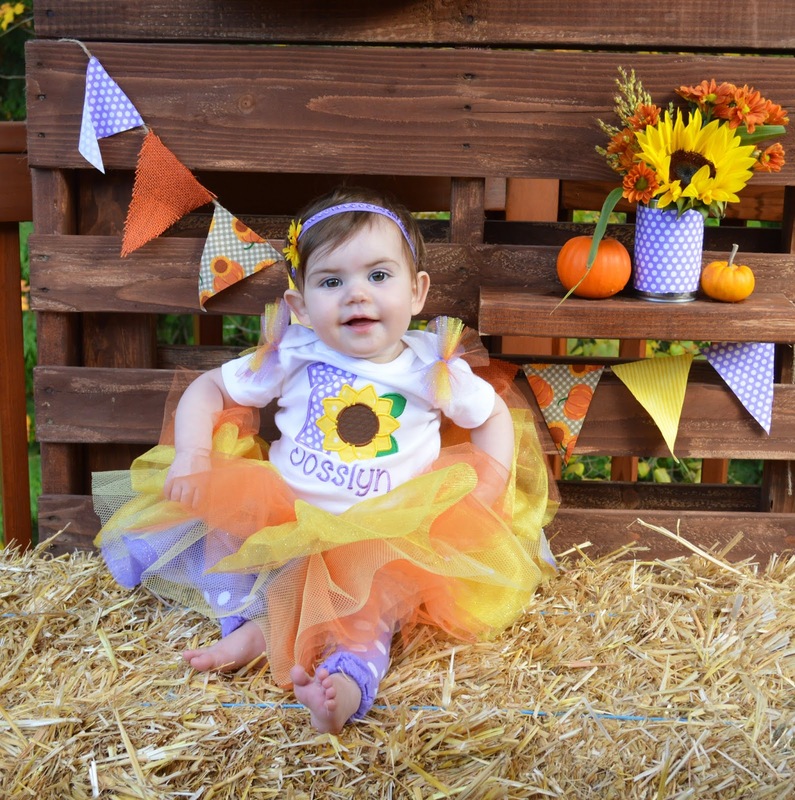 I coordinated with an Etsy seller to create Josslyn’s onesie to match the same fabric that I was using in the party: https://www.etsy.com/shop/HazelandEloise. 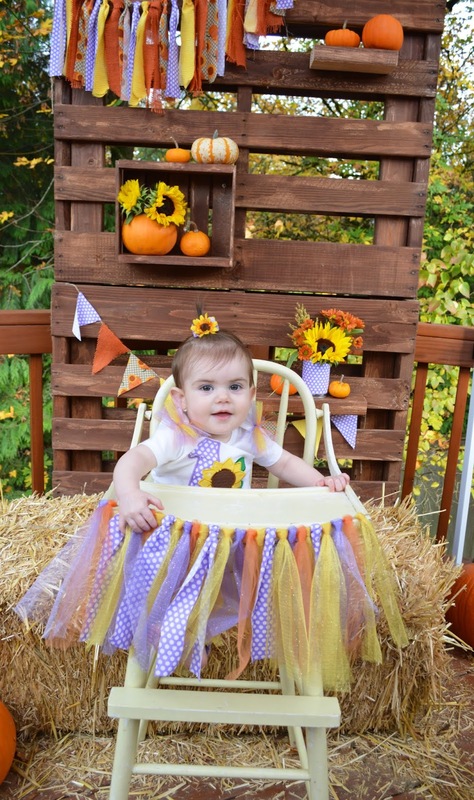 My mom sewed her tulle skirt and I added the tulle fluff on the shoulders to complete the outfit. 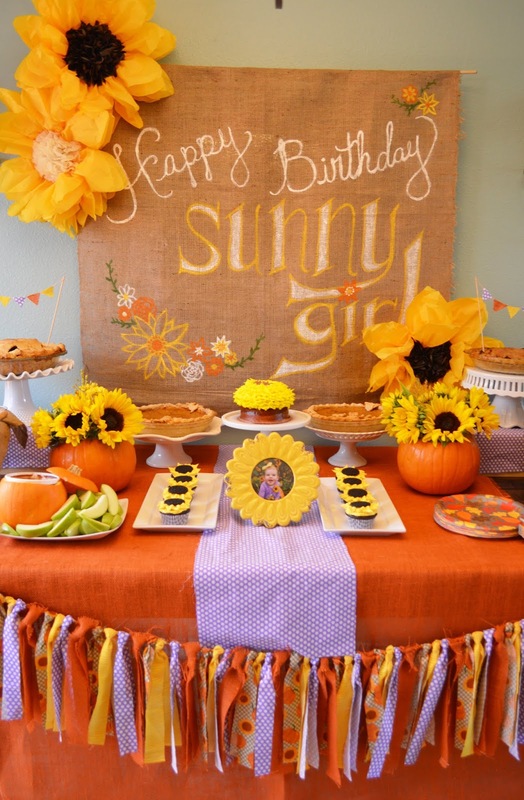 For the table backdrop, I painted on burlap and added tissue sunflowers made from a Martha Stewart kit. 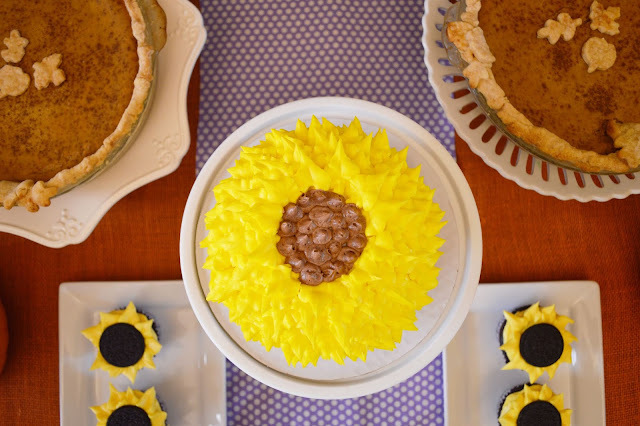 The sunflower smash cake was made by a local Safeway, but for guests we served a variety of homemade seasonal pies- which everyone agreed was fabulous in lieu of cake! 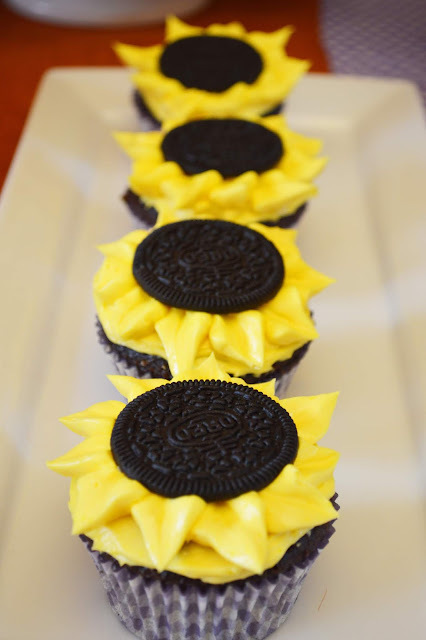 I did make a few sunflower cupcakes for kiddos with Oreos as centers. 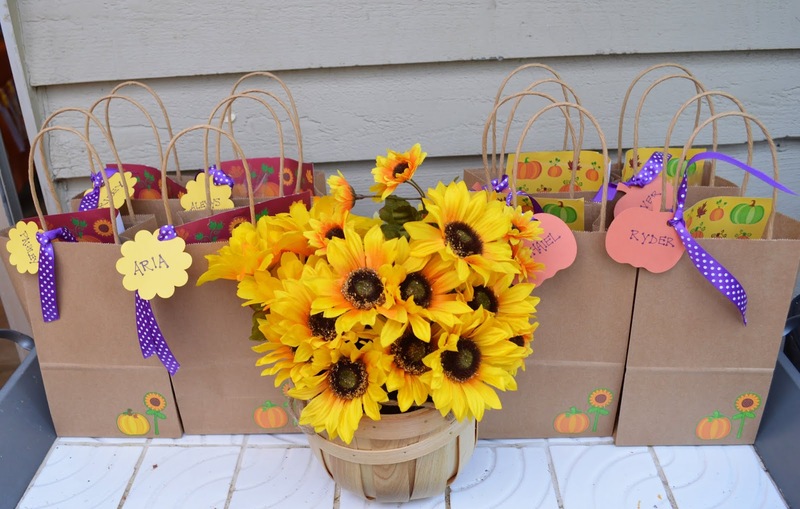 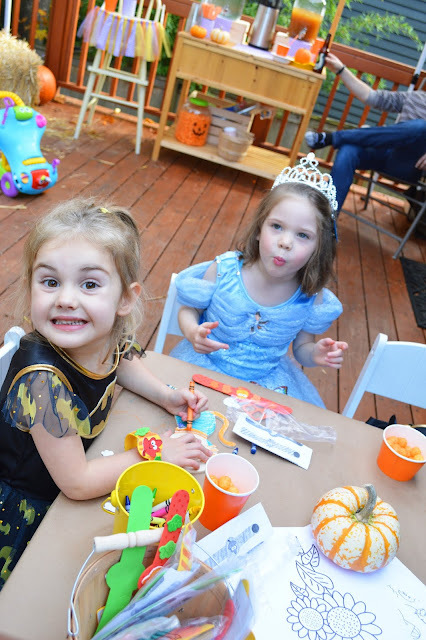 The little guests also had a crafting corner and festive take home bags with loot such as: fall stickers, necklace kits, colored sunflower seeds and planting seeds. All ages enjoyed posing for the photo booth and all of the festive decor! 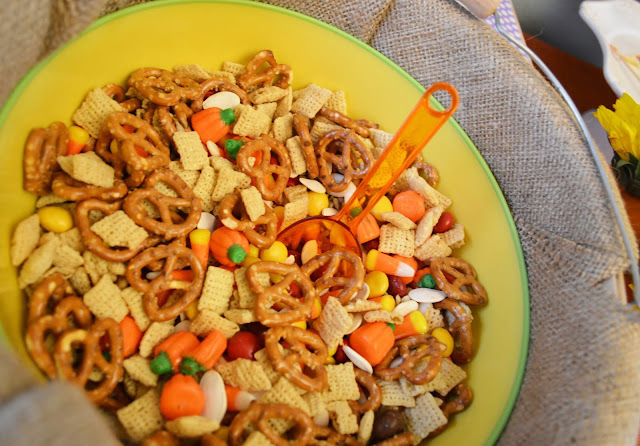 Event designed and photographed by: Lanissa Youngquist of Sweetandpetitepartydesigns.